And roughly the 11th Democrat overall, depending on who you’re counting. An independent who we’re treating as a Democrat for purposes of this analysis. 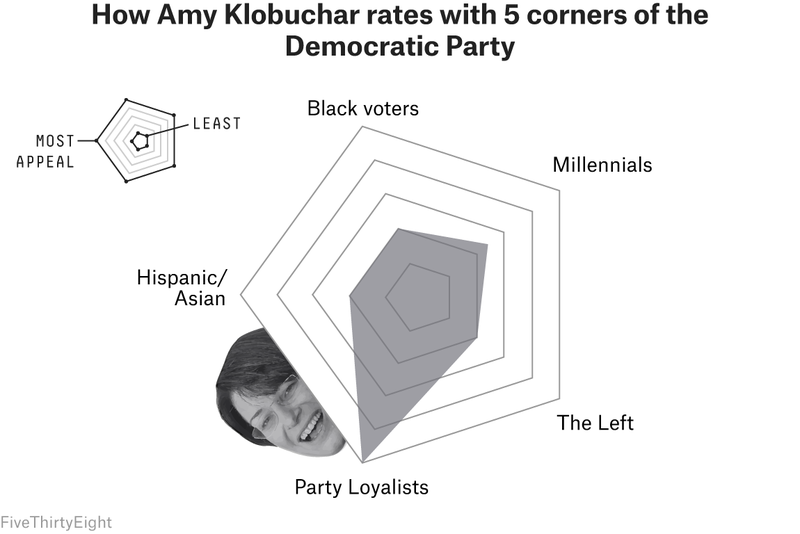 However, Klobuchar’s campaign believes she could perform well among independents and Republicans who cross over to vote in Democratic primary. Her campaign said Klobuchar supported the aims of a Green New Deal, but that her messaging to voters would focus on what it would take to move it beyond broad concepts and into reality.